The miniaturised Micra transcatheter pacing system (TPS) is the next “medical miracle”. Being the world’s smallest pacemaker makes it possible to implant without any surgical incision. Dr. Vanita Arora, Director and Head, Cardiac Electrophysiology Lab and Arrhythmia Services, Max Devki Devi Super-specialty Hospital and the first lady electrophysiologist in entire India, has treated cases of abnormal heart rhythm with the use of pacemaker. 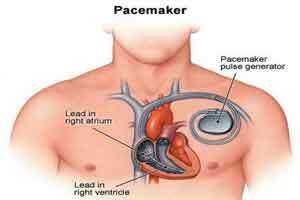 Over the past 60 years, significant advancements have been made in the manufacturing and clinical use of pacemakers. The Micra TPS is delivered percutaneously, and does not require the use of leads for implant. The success rates of implant are close to 99% in global trials, and they have also shown 48% lesser complications than traditional pacemakers, when it comes to cardiac pacemaker insertion. Natural pacemakers of the heart, on the other hand, become diseased, at times and instead of helping to keep the heart beating in a regular manner, cause adverse clinical manifestations like weakness, dizziness, black out and episodic pauses in heart beats, which requires urgent medical attention. Due to constant risk being posed to a number of people with cardiac arrhythmia in India, an increasing need of recognizing the problem of arrhythmia is required. There is no age when this medical condition manifests itself and needs to be treated urgently. Sometimes this is predominantly a medical condition of the heart one is born with. The occurring of condition and the medical urgency required is unpredictable. Cardiac arrhythmia or dysrhythmia is a heart disease in which there is irregularity in heartbeats. Unlike heart attack that can occur with normal heart rate, this condition is characterised by either slow or rapid heart rate.